Harvest Collection - "Grubs up for Grandparents Day!" 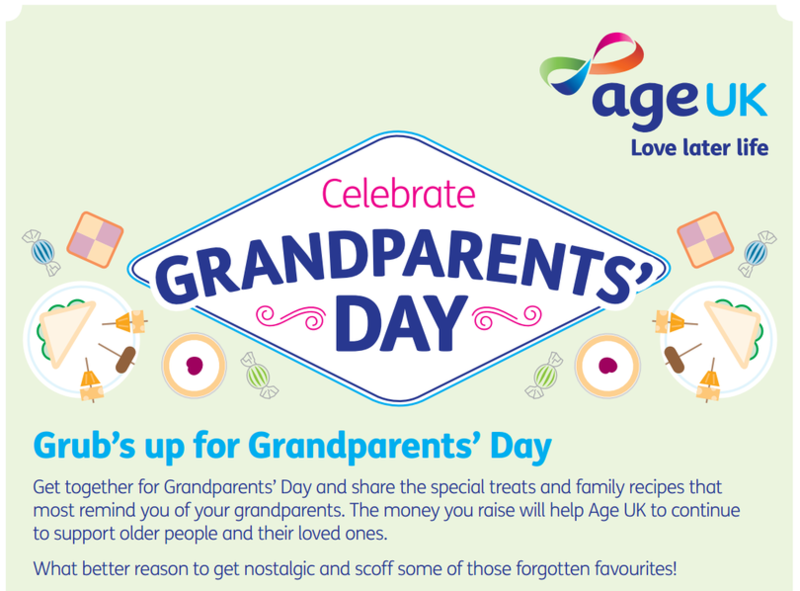 This year we are supporting Age UK and their ‘Grubs up for Grandparents’ Day’ on Monday 26th September. Age UK are raising money to support vulnerable older people in our local community. Pupils can contribute food that reminds them of their grandparents which will be donated towards our ‘Grubs up for Grandparents’ food hall where we will sell these foods for small donations and money raised will go to Age UK.